Most of the sponsorship money has now come in and we have raised a staggering £95,000 including gift aid in the Christian Blandford Fund triathlon. You can track the latest number here, we are incredibly close to our £100,000 target. Peter, Claudia and the rest of the trustees would like to thank all the incredible people who took part this year and made such an enormous effort in the fund raising. We would also, of course, like to thank everybody who supported this fantastic cause by sponsoring one of their friends in the event. We appreciate that most of you must get asked to support various causes frequently, so we are particularly grateful to so many of you who chose to dig deep and support us this year. We are in discussions with St George’s and thanks to you wonderful participants and sponsors, the refurbishment of the children’s ward should be underway soon. We have joined Amazon Smile. If you use this link before you shop at Amazon, they will make a donation of 1.5% of your expenditure for no extra cost to you! 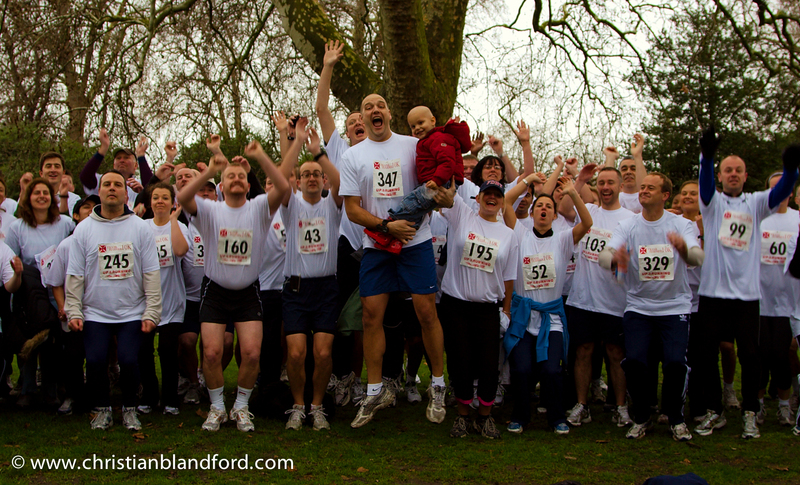 Please click on this link to set The Christian Blandford Fund as your charity of choice. Thank you again! Posted in Blog, Fund Raising, Triathlon. Tagged with Amazon Smile. CBF 2018 Triathlon – a massive thank you from us! The CBF triathlon was everything we hoped for and much harder than most people expected. We started at 8.00am with a beautiful canoe around Peel Island or Wild Cat Island as it was called in the film Swallows and Amazons. It was tough on the shoulders but actually really good fun and took about an hour and a quarter. We then cycled for a couple of hours including climbing the Honister pass which is one of the steepest climbs in the UK with gradients up to 1 in 4. The next challenge was to climb up Haystacks which took 3 hours, stunning but harder than we all expected, particularly the way down. The last leg was a 13 mile cycle ride which we were not to excited to learn included another exhausting, seemingly never ending, climb. We hit the finish line at around 5pm, exhausted but happy! There are plenty of photos of the event here. All our supporters, including those who donated, took part, gave their time for free, who like our Facebook page and are on our mailing list were entered into a draw to win a week in a villa in Spain. The prize was won by Anya Roberts who kindly sponsored Matt and Andrea Starbuck. Congratulations! We are very close now to the £100,000 we have been quoted to renovate the children's wards and St George's in Tooting and have pledged to raise all that amount. If you were planning to sponsor somebody partaking and haven't got around to it yet, please do so now and help us meet our target. If you have already sponsored somebody, thank you so much, we really do appreciate it and we guarantee that every penny raised will go to improving the lives of ill children staying in often very frightening and uncomfortable wards. Click here to donate or track the amount raised, a list of all the people who participated, together with their fund raising page is at the bottom. To all those who took part, thank you for making such an incredible effort with the fund raising and with the challenge itself. It was a genuine pleasure to spend the weekend with you. Please share or forward this email to your sponsors as a way of thanking them from us. Posted in Fund Raising, Triathlon. Tagged with Fund Raising, Thank you, Triathlon. Leyla Gilbey and Isabelle McCann organised a fantastic evening at Otto's in Sevenoaks and raised over £2000. The photo's of the evening are here. Thank you to the team at Otto's, many of whom gave their time for free, the people who attended and of course Leyla and Isabelle for organising. There is less than 3 weeks to go until the CBF triathlon and many of the participants are doing really well with fund raising already. Thank you to all those who have set up your Virgin Money Giving Pages and thank you to all of you who have already sponsored someone taking part. Posted in Fund Raising, Triathlon. Tagged with Otto's. As a thank you to the wonderful people who have supported the Christian Blandford Fund, the Blandford family are donating a week in a villa in Begur, Spain to one lucky winner. Everyone who has sponsored somebody, donated to our charity or is joining us for the event will be entered. The lucky winner will be drawn on the Saturday night after the triathlon and that person will be able to choose any week outside of July and August in the next two years to take friends and family on an amazing holiday. 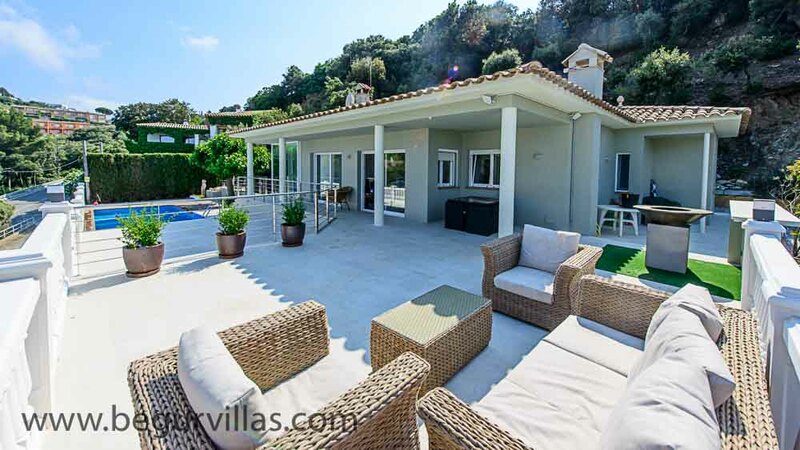 You will have a choice of either Villa Begur or Villa Sa Riera subject to availability, both have 6 bedrooms, their own pools and sleep up to 12 people. You can compare the two villas and get more details on www.begurvillas.com. Anybody who is taking part in the triathlon please feel free to use this offer when raising sponsorship. Anybody who sponsors you will automatically be entered. As another thank you, participants in the triathlon will be eligible for 20% discount for any booking in the next three years. For a chance to win a week in one of these incredible villas you can of course sponsor Claudia and Peter, our fund raising page is here . Thank you very much! The winner of the free week in the villa will be chosen randomly. The Christian Blandford Fund is not paying anything for the prize. The winner and their chosen companions will have to make their own way to Begur in the Costa Brava. The entry into the draw is not contingent on a donation, if you wish to be entered into the draw please send us an email with your details. Good luck! Posted in Blog, Fund Raising, Triathlon. We need a few more people to join us on the CBF Tri! Posted in Blog, Fund Raising, Triathlon. Tagged with Triathlon. If you have any friends or family who you think would like to join you please encourage them to join, we could do with just a few more signing up. Please set up a just giving fund raising page and share it with friends, family and co workers. Search for "CBF" in organised event and select no to "Have any of your selected charities contributed to the cost of your event?" If your company has some kind of a matching or charity donation scheme please look into it for us. Claudia or I are very happy to pitch to any companies if that is required. Claudia and I are getting the 1430 train from London, Euston to Penrith (North Lakes) on the Friday 18th May. Let us know if you book the train too so that we can organise for a mini bus or taxi to pick us all up. We return on the 1207 train on the Sunday 20th May, arriving at Euston at 1518. Finally and most importantly, thank you for being part of our team, we are delighted you are with us! Posted in Blog, Fund Raising, Triathlon. Tagged with Fund Raising, St George's Hospital, Triathlon. Time is running out to register! Posted in Blog, Fund Raising, Triathlon. Tagged with St George's Hospital, Triathlon. Most of the work we do has been for St George's Hospital in Tooting but we help in other places too. We just received this thank you from York Teaching Hospital... 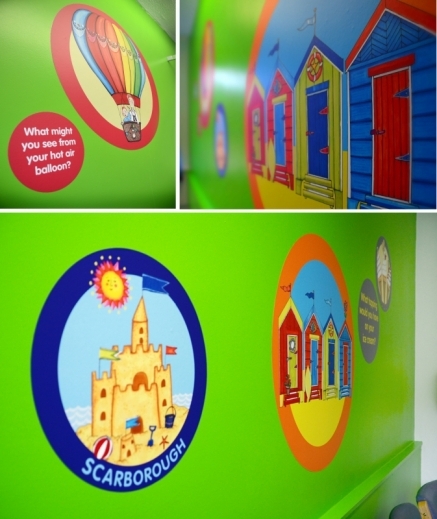 Thanks to the Christian Blandford Fund the Arts Team at York Teaching Hospital has worked with staff on York Hospital’s Children’s ward to coordinate new art work for the bedrooms. The Trust’s Estates Team freshened up the walls with a lick of paint and a bright new colour scheme, ready for the addition of child-friendly illustrations. We commissioned local illustrator Tanya McClelland to produce the artwork, working with patients, visitors and staff to choose the final designs. We felt her playful illustrations were perfect for the project, with designs taking inspiration from parks and outdoor spaces across the city of York and the beaches of Yorkshires East Coast. We would like to thank the Christian Blandford Fund for making this project a reality and helping to transform the ward. Once again many thanks from all our staff this change to the ward environment will make a huge difference. If you have not yet entered for the CBF Lake District Triathlon and plan to do so, please do so now as numbers are limited and places are filling up fast. Posted in Blog, Fund Raising, Things We've Done, Triathlon.